After two full years of work my book is finally out! To prepare for it I’ve interviewed dozens of people in Georgia, tested hundreds of recipes and taken thousands of photographs. The result is a 464-page book, with 400 photos, 70 recipes and lots more. 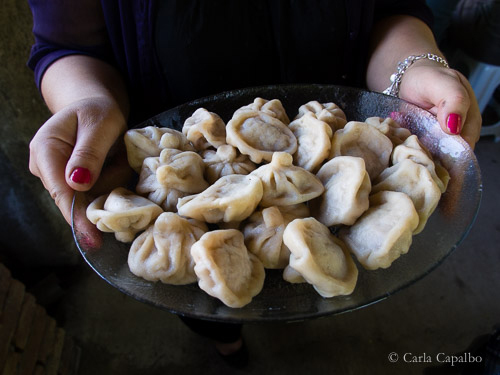 The idea for TASTING GEORGIA A food and wine journey in the Caucasus was born in June, 2013, when I visited the country for the first time. It only took a few days for me to fall in love with the people, their food, wine and culture. On the day I was leaving, I said to John Wurdeman: “I know this sounds crazy because I’ve only been here for a few days but I can feel a book coming on!” His encouragement and the help and support of many wonderful friends in Georgia have led to this large and complex book being born. I’ve been to Georgia countless times since then, travelling up and down the country in search of the best stories, foods, recipes and wines. Like my last three Italian books, this book is about the culture of making food and wine. 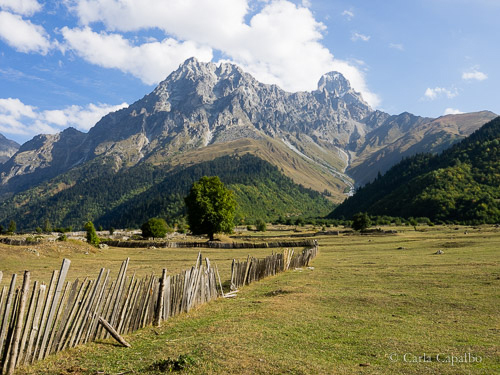 I like to write these books with a reading traveller (or travelling reader) in mind, so you’ll find oral histories of women in the highlands of the Greater Caucasus alongside their recipes, photos and local highlights. There are maps too, to help find these often hard-to-locate families living in rural areas of the country. It’s been a wonderful journey for me, and I hope Tasting Georgia will encourage many more people to travel to – and fall in love with – Georgia.